Martin Allsuch & Co are delighted to offer this amazing 4 bed detached property on the development of Beechfield, this property has a great finish throughout. It also has a good sized garden with space to extend either out to the side and above. Martin Allsuch & Co are delighted to offer for sale this 4 bedroom semi detached house situated off Furzehill Road.The ground floor comprises of a lounge/dining room, kitchen/breakfast room, conservatory, utility room, wc, garage. Upstairs comprises of 4 bedrooms and a family bathroom. Martin Allsuch & Co are delighted to offer this fabulous 3 bedroom 2 bathroom detached home in one of Borehamwood`s most popular roads Anthony Road. Rarely do families have the opportunity of walking into a house and doing absolutely nothing to it. Martin Allsuch & Co are delighted to offer this gorgeous 3 bedroom home in one of Borehamwood`s most sought after roads. The property is a very special one as it has more to offer than the houses in this road at the moment. Come and have a look so you can see why! Martin Allsuch & Co are delighted to offer for sale a 4 bedroom detached house in Borehamwood 15 minutes walk to Borehamwood High Street. This house needs to be seen to be believed because looking at the front of the house. You would never believe the vastness and beautiful decor. Martin Allsuch & Co are delighted to offer a 3 bed semi detached house in one of Borehamwood`s most popular roads Hillside Avenue right near Yavneh College. Walking distance to all of the high streets amenities and Elstree/Borehamwood`s Thames Link Station. Martin Allsuch & Co are delighted to offer for sale a 4 bedroom, 2 bathroom town house walking distance from Borehamwood`s high street and Thames Link station. The house comes with a garage and an allocated parking space. Martin Allsuch & Co are pleased to bring on this 4 bedroom terraced house situated a 3 minute bus ride or 10 minutes walk away from the Boulevard, High Street and Elstree/Borehamwood Thames Link train station. CHAIN FREE! A good size three bedroom end of terrace house located just a short walk from local shops, schools and London bus links. The house is offered in good condition with a large driveway, sunny aspect garden, good size kitchen breakfast room and a large master bedroom. Martin Allsuch & Co are delighted to be able to offer for sale this great 2 bedroom terraced house with off street parking for 2 cars. Set in the very quaint Elstree Village this property is bright, spacious and has been looked after and decorated beautifully. 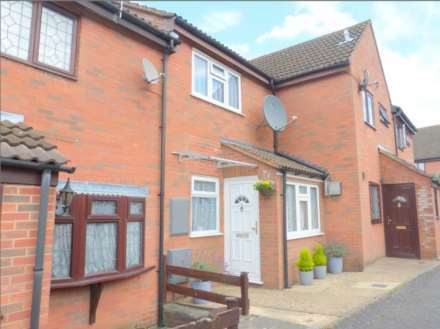 Martin Allsuch are delighted to offer this two bedroom end of terrace house on the popular Studio Way estate, the current owners have recently refurbished the property to create a modern and comfortable family home.